Go to ibooks on your iphone or ipad (the device you use) and open the app. 2. On the bottom of the page you’ll see a magnifying glass. 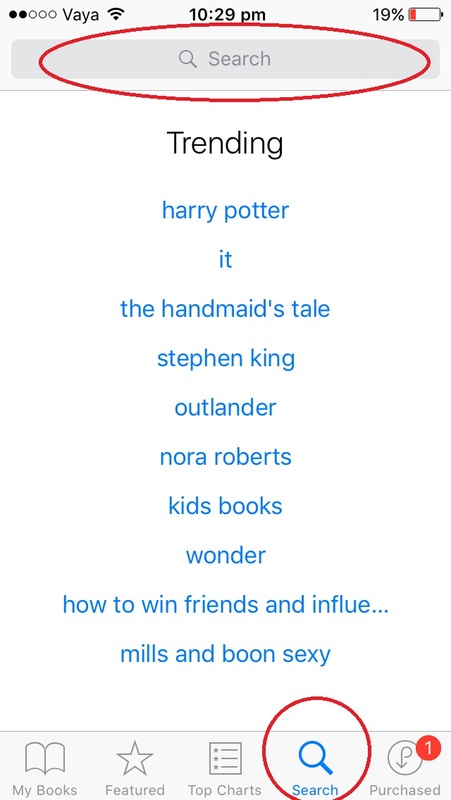 Click on that, and then go to the search bar at the top and type in the name of the book. E.g. Sandwich Fillers. 3. The book should appear. 4. 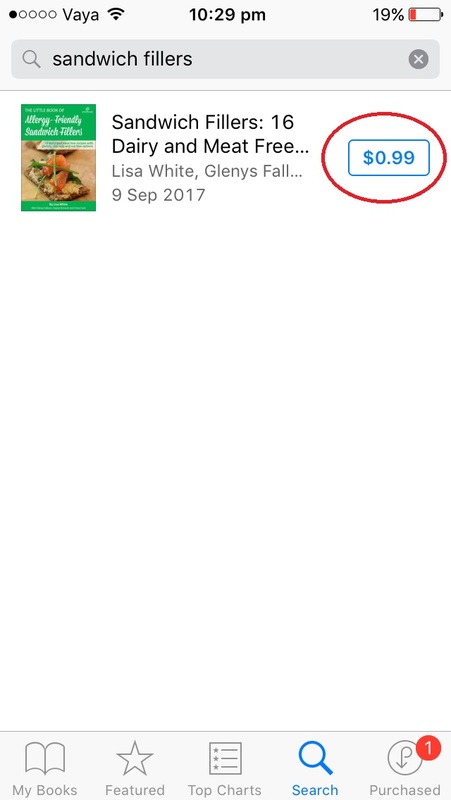 Click on the box on right with the price and it’ll say BUY BOOK and then click on that and you’ll see a little circle showing that it’s downloading. Once it’s finished it’ll say READ. Click on that and it’ll open the book. 5. To find the book go to the bottom of the app and click on the open book symbol on the bottom left which says “My Books”. 6. 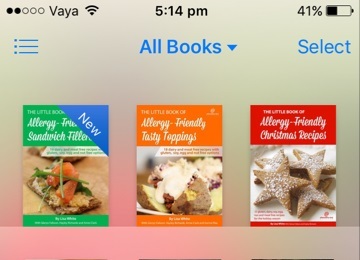 Clicking on “My Books” will take you to the bookshelf where all the ebooks that you’ve downloaded through ibooks can be found. For more specific help you’ll need to contact ibooks support.